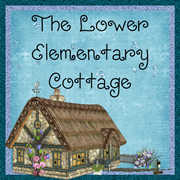 The Lower Elementary Cottage: We're off to a great start! Have I mentioned how much I'm LOVING my new school?! My teammate and I have jumped right in together and it's going great. I feel like we compliment each other really well. It's like we already have this cohesive mesh where we don't even have to talk about who is going to do what, we just seem to know what needs to be done and do it while helping each other out in the process. She is full of energy and I feed off of it. It's so much fun in our room! We take turns teaching lessons and playing interventionist for the kids with the behavioral and academic struggles. It takes sooo much of the stress off of the way I was used to teaching for the last couple of years. Plus we have a super sweet ABA therapist who is with us too. I'm so used to doing it all on my own that it's crazy having so much help all the time! It's amazing! I'm loving our kids too! They are so quirky in their own little way. I really like that my co-teacher worked with most of them last year because the kids are being very much themselves instead of doing that shy, reserved thing kids do that first week while they figure out what is going on. I can see who struggles in different areas and I've started planning interventions and implementing them with my co-teacher. It's working out well that we completely agree on what the kids needs and are willing to jump right in and start working on these things now before they become a bigger challenge later. We're off to a great start and now I'm off to bed! It's been a busy week. 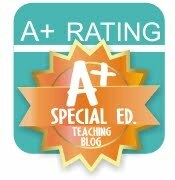 Sorry there isn't much to take pictures of this week because it's mainly been review activities and centers. Hopefully we'll have something new and exciting for you to see next week!